Belmont University College of Pharmacy third-year students Austin Simmons, Inmar Osi, Angie Babakitis, Mary Lankford, Deamitea’ Johnson and Lanoi Chindavanh chose the informatics program at Belmont University College of Pharmacy because it’s the only pharmacy school in the nation offering HIMSS approved courses and project experiences that prepare Pharm.D. students for advanced knowledge in health IT and healthcare. Seeking to become data analysts with Microsoft SQL, the team was eager to get started with their projects. SQL is a relational database management system designed to retrieve big data from servers to answer analytical questions. The team was self-motivated, with minimal background in computer science, but has been working to understand how the software works by learning queries to access and report on large amounts of information in hopes of answering healthcare related questions. The new programmers worked with a variety of healthcare and related big data found on data.gov, where large amounts of information are stored to source answers for public health issues. One example included Osi’s research hypothesis which sought to find any correlation between people with no high school diploma and depression rates in counties in Tennessee. Another example can be seen with Simmons’ hypothesis which compared the rates of hospitalizations due to diabetic complications in areas of lower income compared to areas of higher income. The comparison looked to see if lower income zip codes had an increased rate of hospitalizations due to complication from diabetes. The team was challenged to learn Microsoft SQL to contribute in the analysis of big data that will redefine healthcare and pharmacy for decades to come. 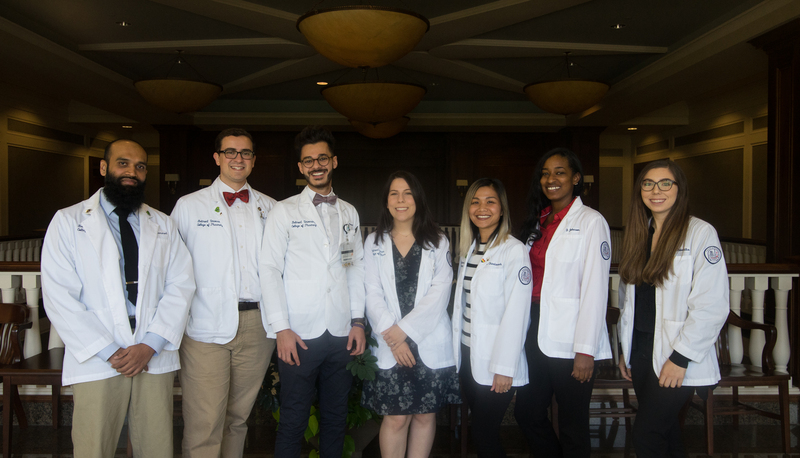 As student pharmacists who are learning to develop informatics skills, they have begun to see how important it is to access this information, as it was assist in healthcare engagement after graduation.